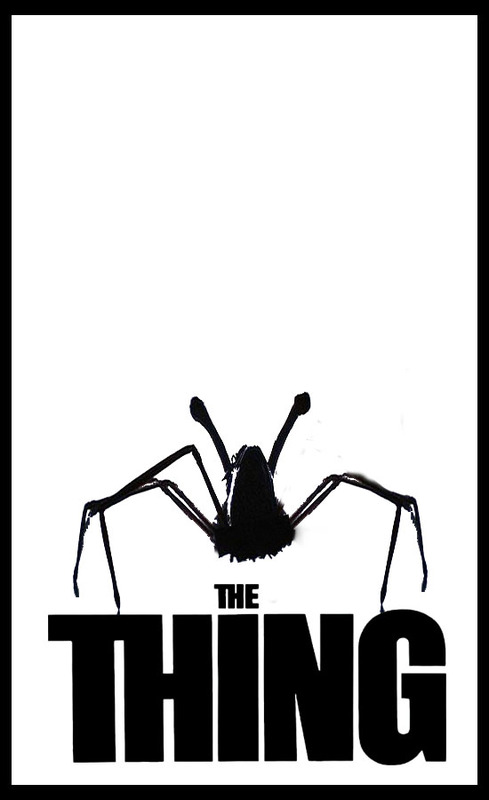 Today I got an email asking if a small, local movie theater that’s been around since 1911 could use a minimalist movie poster I created for John Carpenter’s The Thing (1982) to promote a forthcoming benefit to save the theater from being closed down. Anyone who has followed the bava for any amount of time might have guessed how I responded, namely HELL YES!!! Funny how many of my passions could be wrapped up in one simple email request. Below is the email I received. As part of the campaign, we’re setting up a repertoire screening program to bring classic films to the community on a monthly basis and all profits directly benefit the campaign. The first screening we are doing is John Carpenter’s ‘The Thing’ at 9pm on October 20th. We’re gearing up to start our marketing for it and we’ve been mulling over ideas for a poster. With very little time (the governing board for the campaign took a little while to approve this), we’re hoping to secure permission to use an existing work to use in our promotions. Could we use your minimalist poster from your blog? We have no intent to alter it beyond adding some of the event details to the top and could credit you on the poster as well. Let us know as soon as you can- it’s a great design! Oh yeah, did I mention I love the web? This kinda stuff is happening to me on an almost regular basis these days, and it rules! This entry was posted in design, movies and tagged design, middletwon, movie theaters, Pennsylvania, The Elks Theater, The Thing. Bookmark the permalink. 5 Responses to Save the Elks Theater! Dude – I would love to see a photo of you smiling outside The Elks beside your poster framed in lights. So wicked … you are burning hot these days dude. I can only dream of being as burning hot as you in all things! In fact, me and you should blow off edtech and start a multi-purpose performance space for film and music . Now wouldn’t that be a blast? Middletown, Pennsylvania is only three and a half hours from Fredericksburg, so I might just do it. I’ll see if we can’t get a posse to go up there and show some support, what a blast that would be! It’s the little things that rock the most. This is amazing. DS106 for the civic good and cultural preservation! Go to Middletown, dammit. I might even join you for the screening. Mail you received and I know he and the rest of our family plan to do whatever it takes to keep this all town theatre going!